Rosaria Conte (female) is Research Director and Head of the Laboratory of Agent Based Social Simulation at the ISTC-CNR in Rome and Vice President of the Scientific Council of the National Research Council of Italy. She is Responsible for the Cnr IC.P08 Project Society, Science, Culture, Globalization, from 2010. Former President of the Italian Cognitive Science Association, and of the European Social Simulation Society (ESSA), she coordinated 4 research Projects (2 FP6, 1FIRB, 1 Vigoni project) and participated as partner in several others. In 2011/12 she was the Representative of the Italian Hub in the FP7 FET-Flagship Project FuturICT.She has been teaching Cognitive Psychology and Social Psychology at the Univ. of Torino at the Univ. of Siena. She is member of the Scientific Board of Sapienza University of Rome for the Social Science PhD course. She published more than 200 works among volumes, papers in scientific journals, conference proceedings, and book chapters. Her scientific activity aims to (a) explain pro-social behaviour among intelligent autonomous systems, including altruism and norm-based action and (b) model the bidirectional dynamics of norms and norm-enforcement mechanisms (including reputation and gossip). 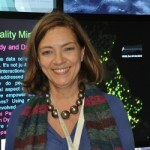 Her research is characterised by a highly interdisciplinary approach, at the intersection among cognitive, social, and computational sciences, and an innovative, computational methodology based on agent based social simulation (ABSS).